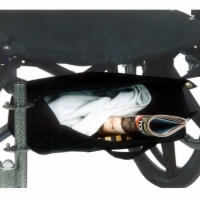 Our under-seat bags are the perfect solution if you're concerned about carrying valuables while on the go in your mobility scooter or powered wheel chair. 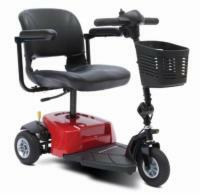 These accessories are designed to prevent accidental loss by - and theft from - the mobility-impaired. 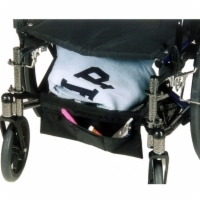 The Down In Front Bag is a one pocket bag that attaches to the framework on wheelchairs. It comes with buckles that allow for quick detachment should the need arise. 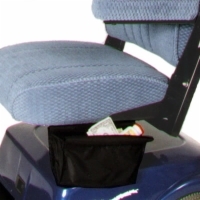 The Small Glove Box mounts under most scooter and power wheelchair seats to provide a discrete storage space for your personal belongings. 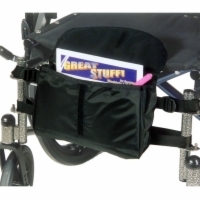 The Cargo Shelf attaches to manual wheelchair frames and provides a catch-all net for your possessions. The Cargo Shelf has a zippered front pocket and is designed to prevent items from falling out the back. The Large Glove Box mounts under most scooter and power wheelchair seats to provide a discrete storage space for your personal belongings.